This article below entitled Who is Osama bin Laden? was drafted on September 11, 2001. It was first published on the Global Research website on the evening of September 12, 2001. Since 2001, it has appeared on numerous websites. The original September 12, 2001 posting is one of the most widely read articles on the internet, pertaining to Osama bin laden and Al Qaeda. From the outset, the objective was to use 9/11 as a pretext for launching the first phase of the Middle East War, which consisted in the bombing and occupation of Afghanistan. Within hours of the attacks, Osama bin Laden was identified as the architect of 9/11. On the following day, the “war on terrorism” had been launched. The media disinformation campaign went into full gear. What happened subsequently, with the invasions of Afghanistan (October 2001) and Iraq (March 2003) is already part of history. In the wake of the NATO sponsored “Liberation” of Libya (August 20011), Syria and Iran constitute the next phase of the US-NATO military roadmap. 9/11 remains the pretext and justification for waging a war without borders. In a bitter irony, the global war on terrorism (GWOT) is waged not against the terrorists but with “with the terrorists” (WTT), with the full support, as in Libya, of Al Qaeda affiliated paramilitary brigades under US-NATO supervision. Excerpts from the Preface of America’s “War on Terrorism”, Second edition, Global Research, 2005. That same evening at 9.30 pm, a “War Cabinet” was formed integrated by a select number of top intelligence and military advisors. And at 11.00 pm, at the end of that historic meeting at the White House, the “War on Terrorism” was officially launched. The decision was announced to wage war against the Taliban and Al Qaeda in retribution for the 9/11 attacks. The following morning on September 12th, the news headlines indelibly pointed to “state sponsorship” of the 9/11 attacks. In chorus, the US media was calling for a military intervention against Afghanistan. Barely four weeks later, on the 7th of October, Afghanistan was bombed and invaded by US troops. Americans were led to believe that the decison to go to war had been taken on the spur of the moment, on the evening of September 11, in response to the attacks and their tragic consequences. Little did the public realize that a large scale theater war is never planned and executed in a matter of weeks. The decision to launch a war and send troops to Afghanistan had been taken well in advance of 9/11. The “terrorist, massive, casualty-producing event” as it was later described by CentCom Commander General Tommy Franks, served to galvanize public opinion in support of a war agenda which was already in its final planning stage. The tragic events of 9/11 provided the required justification to wage a war on “humanitarian grounds”, with the full support of World public opinion and the endorsement of the “international community”. Several prominent “progressive” intellectuals made a case for “retaliation against terrorism”, on moral and ethical grounds. The “just cause” military doctrine (jus ad bellum) was accepted and upheld at face value as a legitimate response to 9/11, without examining the fact that Washington had not only supported the “Islamic terror network”, it was also instrumental in the installation of the Taliban government in 1996. In the wake of 9/11, the antiwar movement was completely isolated. The trade unions and civil society organizations had swallowed the media lies and government propaganda. They had accepted a war of retribution against Afghanistan, an impoverished country of 30 million people. I started writing on the evening of September 11, late into the night, going through piles of research notes, which I had previously collected on the history of Al Qaeda. 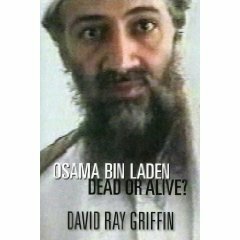 My first text entitled “Who is Osama bin Laden?” was completed and first published on September the 12th. (See full text of 9/12 article below). From the very outset, I questioned the official story, which described nineteen Al Qaeda sponsored hijackers involved in a highly sophisticated and organized operation. My first objective was to reveal the true nature of this illusive “enemy of America”, who was “threatening the Homeland”. The myth of the “outside enemy” and the threat of “Islamic terrorists” was the cornerstone of the Bush adminstration’s military doctrine, used as a pretext to invade Afghanistan and Iraq, not to mention the repeal of civil liberties and constitutional government in America. It was consequently crucial for the development of a coherent antiwar and civil rights movement, to reveal the nature of Al Qaeda and its evolving relationship to successive US adminstrations. Amply documented but rarely mentioned by the mainstream media, Al Qaeda was a creation of the CIA going back to the Soviet-Afghan war. This was a known fact, corroborated by numerous sources including official documents of the US Congress. The intelligence community had time and again acknowledged that they had indeed supported Osama bin Laden, but that in the wake of the Cold War: “he turned against us”. After 9/11, the campaign of media disinformation served not only to drown the truth but also to kill much of the historical evidence on how this illusive “outside enemy” had been fabricated and transformed into “Enemy Number One”. Michel Chossudovsky, Excerpts from the Preface of America’s “War on Terrorism”, Montreal, Global Research, 2005. Meanwhile, parroting official statements, the Western media mantra has approved the launching of “punitive actions” directed against civilian targets in the Middle East. In the words of William Saffire writing in the New York Times: “When we reasonably determine our attackers’ bases and camps, we must pulverize them — minimizing but accepting the risk of collateral damage” — and act overtly or covertly to destabilize terror’s national hosts”. The following text outlines the history of Osama Bin Laden and the links of the Islamic “Jihad” to the formulation of US foreign policy during the Cold War and its aftermath. Pakistan’s ISI was used as a “go-between”. The CIA covert support to the “jihad” operated indirectly through the Pakistani ISI, –i.e. the CIA did not channel its support directly to the Mujahideen. In other words, for these covert operations to be “successful”, Washington was careful not to reveal the ultimate objective of the “jihad”, which consisted in destroying the Soviet Union. Motivated by nationalism and religious fervor, the Islamic warriors were unaware that they were fighting the Soviet Army on behalf of Uncle Sam. While there were contacts at the upper levels of the intelligence hierarchy, Islamic rebel leaders in theatre had no contacts with Washington or the CIA. With the disintegration of the Soviet Union, a new surge in opium production has unfolded. (According to UN estimates, the production of opium in Afghanistan in 1998-99 — coinciding with the build up of armed insurgencies in the former Soviet republics– reached a record high of 4600 metric tons.15 Powerful business syndicates in the former Soviet Union allied with organized crime are competing for the strategic control over the heroin routes. The ISI’s extensive intelligence military-network was not dismantled in the wake of the Cold War. The CIA continued to support the Islamic “jihad” out of Pakistan. New undercover initiatives were set in motion in Central Asia, the Caucasus and the Balkans. Pakistan’s military and intelligence apparatus essentially “served as a catalyst for the disintegration of the Soviet Union and the emergence of six new Muslim republics in Central Asia.” 16. Meanwhile, Islamic missionaries of the Wahhabi sect from Saudi Arabia had established themselves in the Muslim republics as well as within the Russian federation encroaching upon the institutions of the secular State. Despite its anti-American ideology, Islamic fundamentalism was largely serving Washington’s strategic interests in the former Soviet Union. And the JUI with the support of the Saudi Wahhabi movements played a key role in recruiting volunteers to fight in the Balkans and the former Soviet Union. In other words, backed by Pakistan’s military intelligence (ISI) which in turn was controlled by the CIA, the Taliban Islamic State was largely serving American geopolitical interests. The Golden Crescent drug trade was also being used to finance and equip the Bosnian Muslim Army (starting in the early 1990s) and the Kosovo Liberation Army (KLA). In last few months there is evidence that Mujahideen mercenaries are fighting in the ranks of KLA-NLA terrorists in their assaults into Macedonia. Russia’s main pipeline route transits through Chechnya and Dagestan. Despite Washington’s perfunctory condemnation of Islamic terrorism, the indirect beneficiaries of the Chechen war are the Anglo-American oil conglomerates which are vying for control over oil resources and pipeline corridors out of the Caspian Sea basin. Basayev’s organisation has also been involved in a number of rackets including narcotics, illegal tapping and sabotage of Russia’s oil pipelines, kidnapping, prostitution, trade in counterfeit dollars and the smuggling of nuclear materials (See Mafia linked to Albania’s collapsed pyramids, 25 Alongside the extensive laundering of drug money, the proceeds of various illicit activities have been funneled towards the recruitment of mercenaries and the purchase of weapons. Since the Cold War era, Washington has consciously supported Osama bin Laden, while at same time placing him on the FBI’s “most wanted list” as the World’s foremost terrorist. While the Mujahideen are busy fighting America’s war in the Balkans and the former Soviet Union, the FBI –operating as a US based Police Force- is waging a domestic war against terrorism, operating in some respects independently of the CIA which has –since the Soviet-Afghan war– supported international terrorism through its covert operations. In a cruel irony, while the Islamic jihad –featured by the Bush Adminstration as “a threat to America”– is blamed for the terrorist assaults on the World Trade Centre and the Pentagon, these same Islamic organisations constitute a key instrument of US military-intelligence operations in the Balkans and the former Soviet Union. In the wake of the terrorist attacks in New York and Washington, the truth must prevail to prevent the Bush Adminstration together with its NATO partners from embarking upon a military adventure which threatens the future of humanity. Michel Chossudovsky is the author of the international best America’s “War on Terrorism” Second Edition, Global Research, 2005. He is Professor of Economics (emeritus) at the University of Ottawa and Director of the Center for Research on Globalization. Hugh Davies, International: `Informers’ point the finger at bin Laden; Washington on alert for suicide bombers, The Daily Telegraph, London, 24 August 1998. Ahmed Rashid, The Taliban: Exporting Extremism, Foreign Affairs, November-December 1999. Steve Coll, Washington Post, July 19, 1992. Dilip Hiro, Fallout from the Afghan Jihad, Inter Press Services, 21 November 1995. Weekend Sunday (NPR); Eric Weiner, Ted Clark; 16 August 1998. Dipankar Banerjee; Possible Connection of ISI With Drug Industry, India Abroad, 2 December 1994. See Diego Cordovez and Selig Harrison, Out of Afghanistan: The Inside Story of the Soviet Withdrawal, Oxford university Press, New York, 1995. See also the review of Cordovez and Harrison in International Press Services, 22 August 1995. Alfred McCoy, Drug fallout: the CIA’s Forty Year Complicity in the Narcotics Trade. The Progressive; 1 August 1997. Douglas Keh, Drug Money in a changing World, Technical document no 4, 1998, Vienna UNDCP, p. 4. See also Report of the International Narcotics Control Board for 1999, E/INCB/1999/1 United Nations Publication, Vienna 1999, p 49-51, And Richard Lapper, UN Fears Growth of Heroin Trade, Financial Times, 24 February 2000. Report of the International Narcotics Control Board, op cit, p 49-51, see also Richard Lapper, op. cit. International Press Services, 22 August 1995. Ahmed Rashid, The Taliban: Exporting Extremism, Foreign Affairs, November- December, 1999, p. 22. Tim McGirk, Kabul learns to live with its bearded conquerors, The Independent, London, 6 November1996. See K. Subrahmanyam, Pakistan is Pursuing Asian Goals, India Abroad, 3 November 1995. Levon Sevunts, Who’s calling the shots? : Chechen conflict finds Islamic roots in Afghanistan and Pakistan, The Gazette, Montreal, 26 October 1999..
See Vitaly Romanov and Viktor Yadukha, Chechen Front Moves To Kosovo Segodnia, Moscow, 23 Feb 2000. The European, 13 February 1997, See also Itar-Tass, 4-5 January 2000.